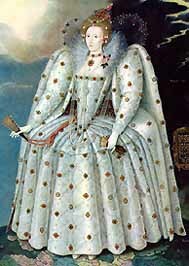 I am looking for a good biography on Queen Elizabeth. I have done some research on Amazon but there are so many books, I can't choose! I think there was a new one that came out a few years ago but I can't seem to find the name. Does anyone have any ideas or suggestions? So why are you taking up valuable space on my blog then? Okay, it has been so long since you posted that Queen Elizabeth's biographies have been archived. Then again, I know you are busy making my pie so I will leave you alone. Seriuously, I read a wonderful biography about QE when I was in high school. I can't remember the name but it was so interesting. If I have a dream and come up with it- I will let you know.